Posted January 31st, 2017 by Hunter & filed under Uncategorized. James C. Welsch, Jr. of Huntington, NY flew west Friday, January 20, 2017 at Huntington Hospital after a short illness. 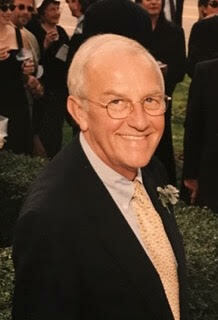 Jim Welsch was President and Partner of Welsch Aviation until 2014 continuing as a Partner until his final flight. Jim began his career in 1960 at a firm founded by his father in 1949 and together they pioneered the aircraft brokerage business. Jim built upon the corporate aircraft legacy of his father through sales of DC-3s, Convairs, Lockheed Jetstars and subsequently the full product line of Gulfstream aircraft which enabled Jim to grow Welsch Aviation’s aircraft brokerage business. Over time, he expanded the reach of Welsch Aviation to include four offices across the United States. Jim led Welsch Aviation through the jet age and six decades of sometimes-turbulent air in the aviation business. This dedication allowed Welsch Aviation to be the original and most respected aircraft sales and acquisition organization in the United States. James C. Welsch, Jr. was born in Cincinnati, Ohio on October 12, 1935 to James, Sr. and the former Effie Mae Bowser. The senior Mr. Welsch, a pioneer of aviation, and his wife welcomed their new son into their family and three months later took him up in an open cockpit, single engine bi-plane for his maiden voyage in the skies. Jim Welsch is survived by Gail, his wife of 58 years, his daughter Kristin and her husband Matthew of Amagansett, NY, daughter Leslie of Huntington, NY and his two beloved grandchildren, Kate and Kamden. In lieu of flowers, donations can be sent to the Little Shelter Animal Rescue, Post Office Box 1805, Huntington, NY 11743 or The American Heart Association.